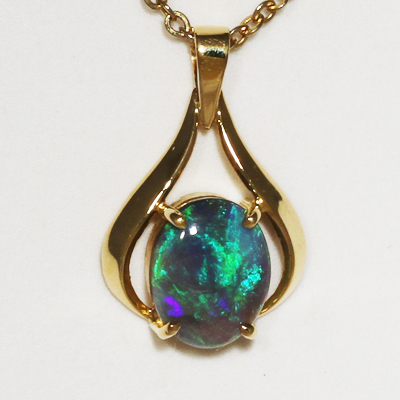 18k gold SOLID BLACK Opal Pendant. 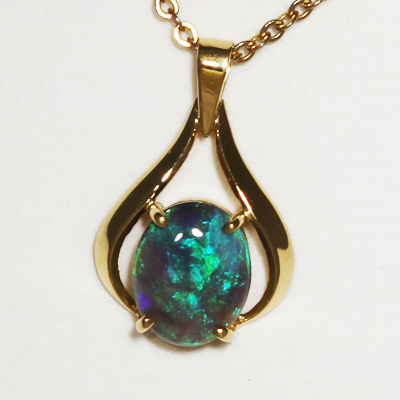 Top quality beautiful 18 K gold pendant professionally finished by our jeweller. 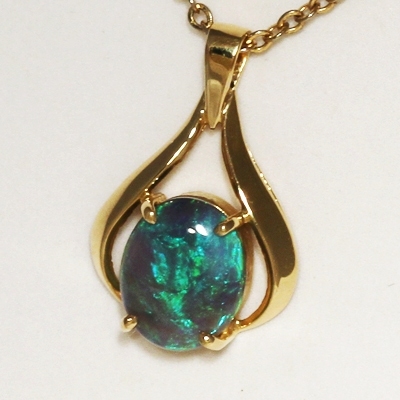 Gold green and forest green sparkle brightly over a background of ocean blue. Great in all lights.